The Pescados River is one of the most famed and popular rivers in Mexico. Among the several other well-known rafting destinations, this particular water body stands out owing to its treasure of diverse rapids. For all rafting enthusiasts yearning for pure whitewater fun, the river brings in the ultimate delight! As the Pescados River sports some high-rising waves, you get to enjoy maximum excitement on the wonderful waters of the water body. 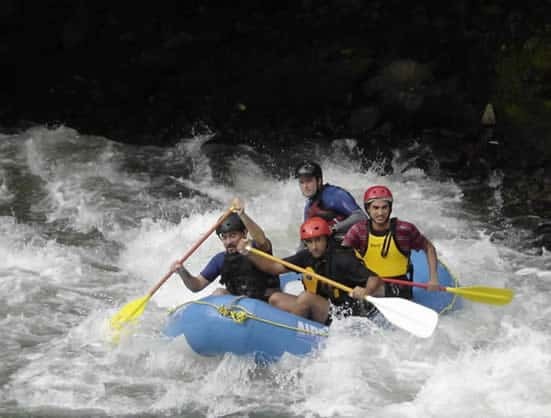 With some electrifying rapids of Class IV, the river offers oodles of opportunities for a rafter to test his rafting expertise. Some of the most significant rapids of the waterway are La Cueva, La Pared, La Bruja and La casa de biologio. At the lower end of the Pescados River, the rapids are slightly modified. However, at other places the rapids are exactly the way they seem to appear. The formation of the rapids has primarily resulted due to the existence of shoals splattering alongside the cliffs. Thus, some of the rapids appear as a bit technical and at times quite tough too. For all paddlers, the Pescados River brings in some unexpected twists, making your rafting voyage a remarkable one! Moreover, there are also rapids such as “With Witch” and “The Cave” that will make your journey even more engrossing! However, as you prepare to get into the fascinating waters of the Pescados River, make sure to take along some necessary items in order to enjoy a safer ride. Guidance of a professional rafter further ensures a much better ride. Seeking additional advice can also multiple your fun and thrill. Hence, get equipped and take the plunge into the fabulous waters of Pescados River!